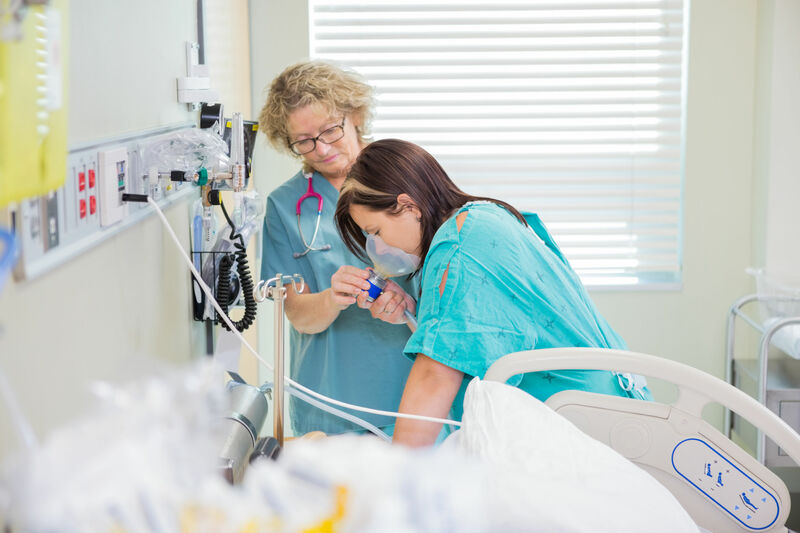 Nitrous Oxide has been used in labor and delivery wards overseas for decades. Now this popular labor tool is coming to Central PA. I have been a doula for well over 8 years and this is one of the most exciting things to happen in maternity care in our area! UPMC Pinnacle Health is the first to take this wonderful leap in helping women have a better birth experience. Harrisburg and Hanover Hospital are already utilizing Nitrous in their labor and delivery units and it is quite popular. Many patients are finding it easy to use and helpful in reducing anxiety and pain in labor. There is a rhythm that works best and nurses are finding that the earlier in labor you choose to use it, the easier it is. Once you are in very active labor it can be hard to time the N2O. It is suggested that the best time to take a deep breath is about 30 seconds before a contraction so that the peak of the contraction coincides with the peak of the Nitrous. The N2O is most effective one this rhythm is reached. There are some mild side effects like the potential to be nauseous and dizzy but the effects leave your body quickly after you stop using the Nitrous. One of the greatest things is that the laboring person has complete control over it. They are able to bring the mask to their face and breath as little or as much as they like. This helps to minimize the risk of adverse effects based off of how the patient is feeling. A word of caution though for labor partners and doulas: No one else may hold the mask to the laboring persons face; if that happens the nurse will take it away and you will not be able to use it again. They have a “one chance” policy for everyone’s safety. There are a few instances where Nitrous is not recommenced; If you have a B-12 Deficiency, Lupus, Crohn’s, Impaired Oxygenation, or suffer from Alcohol Abuse. It is important to talk to your provider ahead of time to see if Nitrous may be an option for you in labor. Currently, Harrisburg Hospital and Hanover Hospital are offering N2O for labor support while The Women’s Place in Lititz will officially begin offering it on July 17th, 2018. Both York Memorial Hospital and Carlisle Hospitals have plans to begin offering it before the end of 2018.